Brooklyn Magazine recently featured some fabulous women who live in Brooklyn. 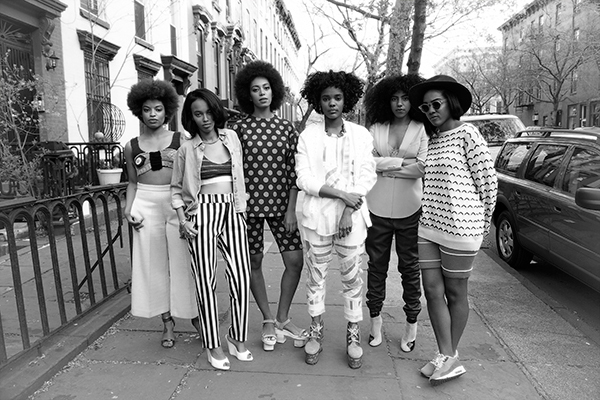 Featuring Elise Petersen, Saada Ahmed, Solange Knowles, Lizzy Okpo, Armina Mussa, Ingrid Burley and Solange. She talks about why she moved to Brooklyn and why its a great balance for her son and her career. “It’s such a beautiful feeling, but also having that village is a necessary reality so that I’m able to pursue my passion both outside of motherhood and outside of my career.” Lizzy Okpo of William Okpo is a designer and has lived in Brooklyn since she was younger. Its something about Brooklyn thats has everyone wanting to move there. Its the culture, the diversity and hometown feel. Many artists seem to construct more and more layers of their identities as their careers grow, protecting their true selves and only revealing a façade to the rest of the world but Solange has successfully done the opposite. She has shed the image that was thrust upon her at a young age, an image that was based on the family she came from and the music she was supposed to be making. In her music, in the way she lives her life, and in conversation, she is undeniably true. The true definition of a artist is someone who always stays true to their craft.